One of the continual challenges for analytics leaders is measuring the work of their analytics groups and communicating the results to business leaders. Sound measurement and transparency form the foundation for strong working relationships, adequate funding of analytics, and trust in the analytics organization. 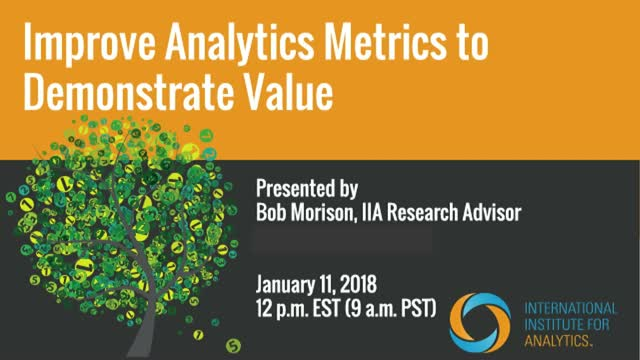 Join IIA Lead Faculty Member, Bob Morison as he shares highlights of recent market research on analytics metrics. He'll share best practices in the four key domains of analytics measurement: Intent, Performance, Results, and Health.